Colossus is one of the javelin types in Anthem. Most people consider it a tank class, as it’s the most beefy of the bunch. However, this is a mistake. Although the Colossus can have much more health and shields than the other javelins, you shouldn’t play it as a straight tank. 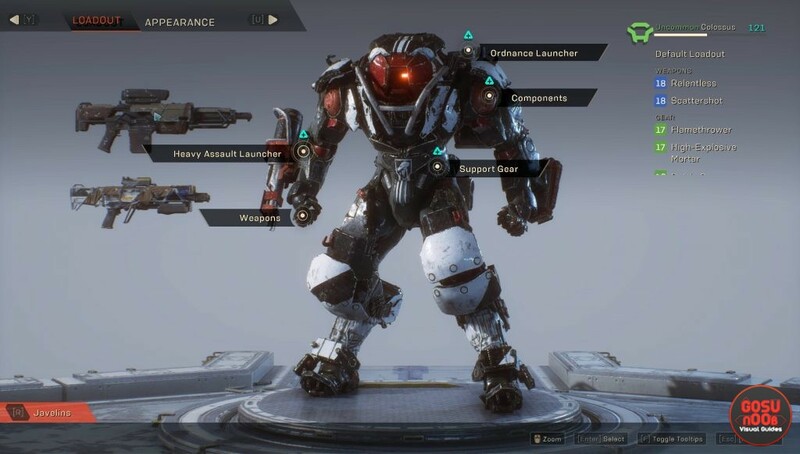 If you’re having trouble surviving or dealing damage as this class, this guide will show you how to play Colossus in Anthem. The first thing you need to realize about the Colossus is that it’s not a tank in the usual sense. Anthem doesn’t subscribe to the prevalent class paradigm, the one with the tank-healer-dps trifecta. Instead, everyone’s a DPS, and everyone’s in charge of their own health. The Colossus is the beefiest of the four javelins, but it is in no way meant to soak up all the damage while others heal and deal damage. Instead, you’ll probably want to think of it like a brawler. It has the armor and shield required to run up to groups of enemies (or taunt them into approaching), and deal with them using a combination of melee damage and AoE skills. In order to do any of this, you’ll have to use class-specific components. After you’ve unlocked some more component slots, you can experiment with different builds, but your first two slots should under no circumstance be used for universal components. The Colossus ones will give you insane amounts of armor and health, allowing you take a fair beating before you need to hide behind a wall. As for the weapons, make sure you have one that’s quick to reload, not just heavy hitters that take forever to put the next round into the chamber. Save your guns for elite enemies – while you’re dealing with everyday scum, try to rely more on melee and abilities like the shield smash, shield charge and ground pound.